The Rehendhi Award – conferred by the State in recognition of exceptional achievements and services of women at a national level – went to three women this year. Rehendhi Award 2018 was presented by Vice President Abdulla Jihad at the official function to mark International Women’s Day, held at Dharubaaruge this Thursday morning. 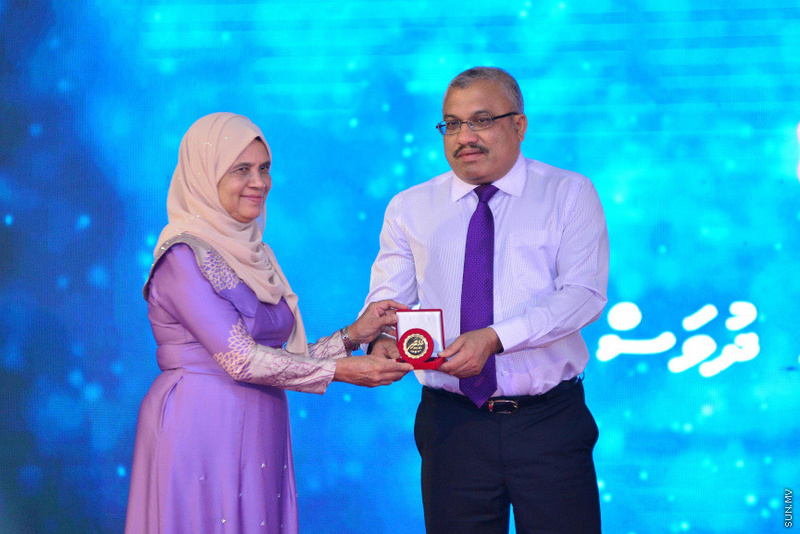 VP Jihad presented the Rehendhi Award first to Aminath Waheeda (Ainthu Sister), the Director of Blood Services at Indhira Gandhi Memorial Hospital. 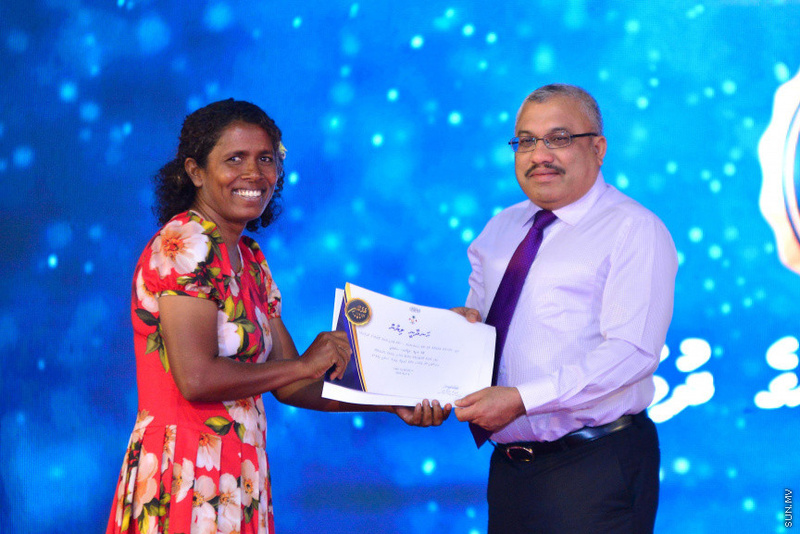 Ainthu, who has served the Maldivian health sector for 49 years and counting, won the award from the category; exceptional institutional service in a specific field. 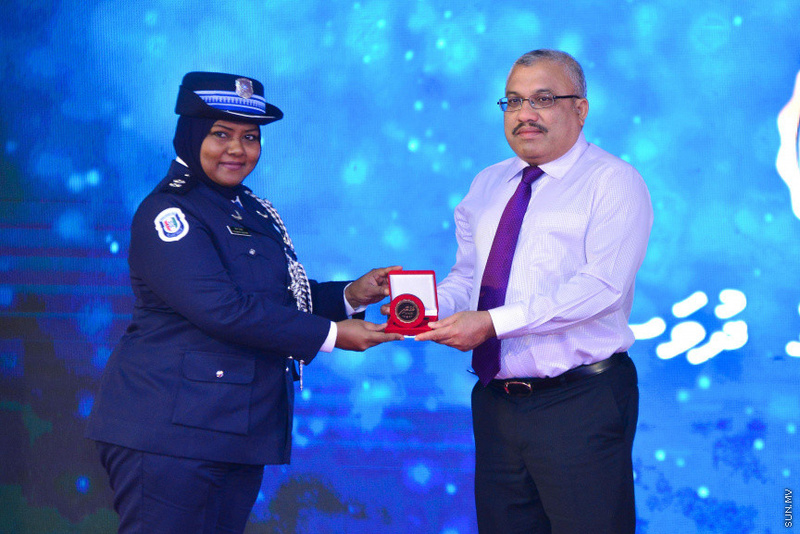 The Rehendhi Award was next presented to Fathimath Nashwa, Inspector of Police at Maldives Police Service. 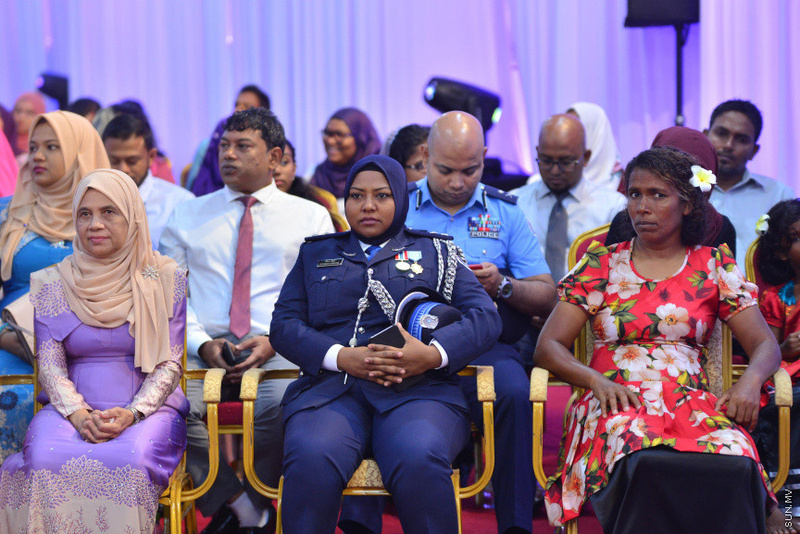 The Maldives Police Service has run multiple social programs at Nashwa’s initiation. She has worked on developing and horning the skills of more than 900 police officers, and lectures at workshops and sessions organized by NGOs. Nashwa has served the Maldives Police Service for 22 years and counting. She, too, won the award for exceptional institutional service in a specific field. The Rehendhi Award was then presented to Fathimath Zoona, who has provided her services in the field of diving for 23 years and counting. Zoona is the only Maldivian woman, and one of the only two Maldivian PADI Course Directors. She received her diving instructor certificate in 1996, and has trained over 11,000 divers. She also served as President of Divers Association for five years. Zoona won the Rehendhi Award from the category; women pursuing and servicing in non-traditional roles.